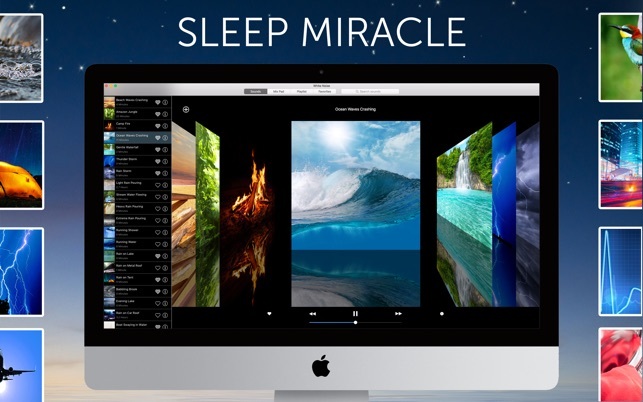 White Noise includes 50 HD stereo ambient sounds of the environment to help you relax and sleep better at night. Are you in a hotel and miss the familiar sound of your fan or air conditioner? Flying on a plane and just want to nap? Includes high quality looping noises such as ocean waves crashing, heavy rain pouring, and flowing stream water. Relax. Sleep better. Feel better. 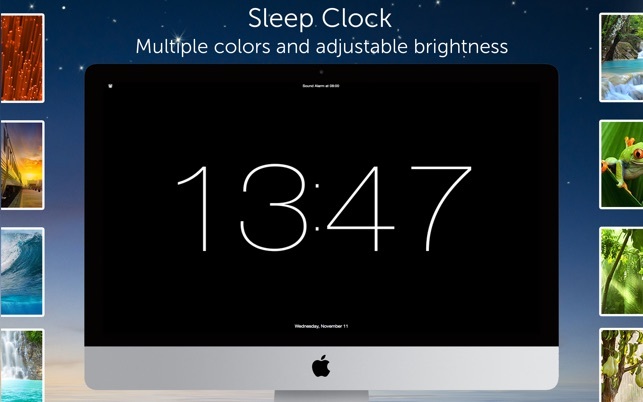 - Digital Sleep Clock is the perfect bedside sleep companion. Swipe left or right to change colors. Drag up and down to adjust brightness. - Sound timers that slowly fade audio out so you don't suddenly awake. 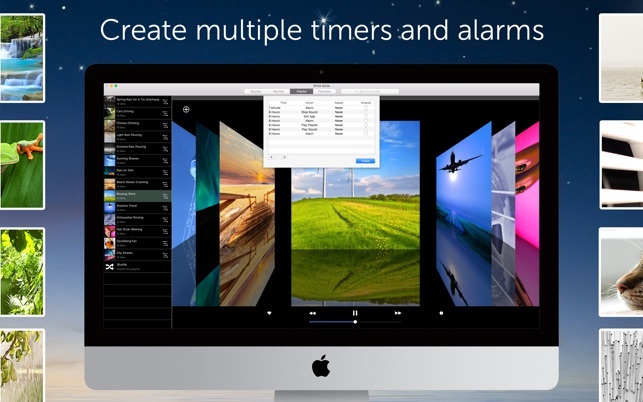 - Multiple alarms that slowly fade in so you wake up feeling refreshed. - Beautiful photos in a cover flow interface allows you to swipe to your favorite sound. White Noise is available for also available for all iOS devices including iPhone, iPod touch, and iPad. Click the Web menu to find out more details! 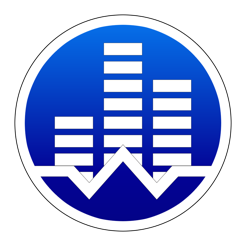 White Noise was first created for the original iPhone in 2008 by TMSOFT and has been continuously updated with new features. Join us on Facebook and Twitter and let us know how we can improve. Thanks for using White Noise by TMSOFT! p.s. 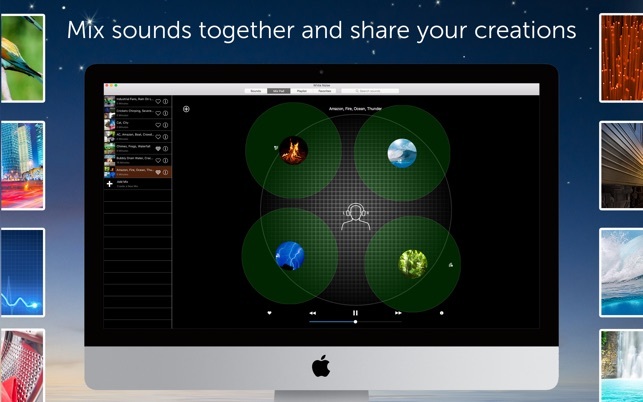 We have also been adding new visualization videos of our popular sounds. Visit https://www.tmsoft.com/white-noise-visualizations/ to see our latest creations! 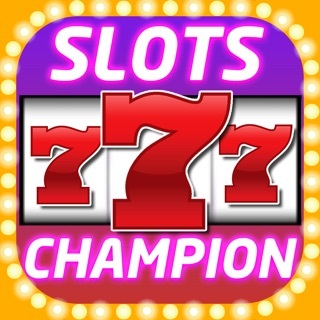 The best keeps getting better and the new sounds are much higher quality in this version and the new interface is very polished. It’s also nice you can download lots of additional sounds for free. I love the brown noise and pink noise presets. They help me completely drown out conversaations in my open office floorpan workplace. Thank you for for the feedback and and awesome rating! Glad the noises can be there for you at work to help you concentrate and drown out your work neighbors. :-) We appreciate your feedback and support! I have the White Noise app both on my Mac Oro and Ipad Pro. Can't get any sound from app on computer, works fine on tablet. Will follow up with Apple tomorrow.